On the evening of Saturday, August 4, 1883, while conducting his rounds, Officer Mahoney had several encounters with three intoxicated individuals. Witnesses later testified that the three men, whom Officer Mahoney had previously cautioned about firing their pistols into the air, began looking for him. At approximately 3:30 a.m., Officer Mahoney again encountered the men. This time he ordered them off the street. One of the men drew a pistol and shot Officer Mahoney twice in the abdomen, causing his death six hours later. Before succumbing to his wound, Officer Mahoney identified his killer by name. The suspect was arrested a few hours later, convicted and sent to prison. Officer Mahoney was single and buried in Mt. Calvary Cemetery, Salt Lake City. 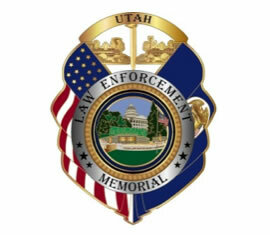 His bronze name plaque is sponsored by Utah Attorney General Mark Shurtleff. Frisco (now)is a ghost town in Beaver County, Utah, USA. It was an active mining camp from 1879 to 1929. At its peak in 1885, Frisco was a thriving town of 6,000 people.